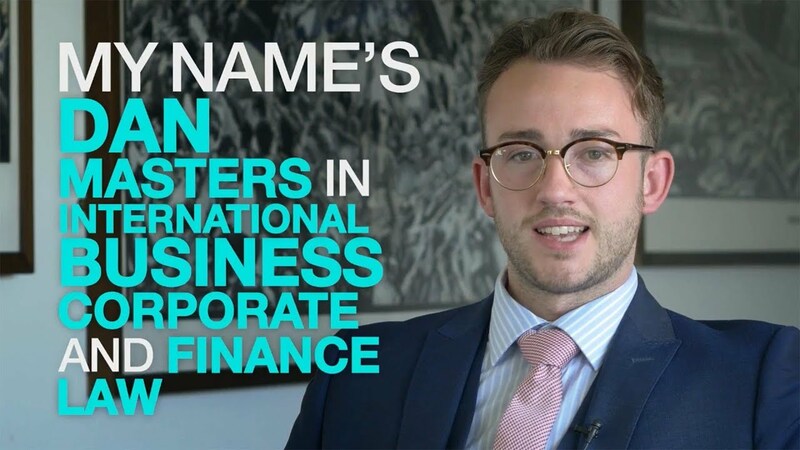 LJMU's innovative LLM in International Business Corporate and Finance Law examines legal issues affecting business organisations operating in a global environment. This globally relevant field of law is the cornerstone for international business operations. Those developing their careers in business, law, banking and finance will benefit significantly from this dedicated postgraduate course of study. Ideal for aspiring and developing financiers, lawyers, bankers and related corporate professionals, this programme aims to create a positive learning environment in which you can practice advanced scholarship and research. You will also gain academic and intellectual progression in a discrete area of international law. The programme will give you the opportunity to critically analyse key themes of commercial and corporate law, set against an international backdrop and understand the complexities arising in this specialist field. It will challenge your thinking and stimulate your academic aspirations in the field of international business corporate and finance law. The course suits new graduates as well as providing Continuing Professional Development (CPD) as approved by the Solicitors Regulation Authority and Bar Council. Following his LLB Law degree at LJMU, Daniel recently completed his Masters in International Business, Corporate and Finance Law at LJMU. On graduation from this course you will be well placed to enter the job market with an international strategic focus. You will be able to apply for roles that consider risk, financial transactions and structures, markets and how businesses interact with the multiplicity of policies and procedures in a range of global contexts. This module teaches you how to draft a dissertation proposal and introduces some basic methodological issues for the research of International Business Law, building on the research undertaken to date and thereby preparing you for your LLM Dissertation and intensive independent learning. The dissertation module is the culmination of the whole programme of study, bringing together aspects of various learning skills in addition to those highlighted as specific learning outcomes. The module content is based around a negotiated topic area following discussions with tutors and introduced at a preliminary stage in the Advanced Legal Research Methods module as a Research Proposal. This module introduces you to global finance law, with scope for specialising in the assignment. This module allows you to critically analyse contemporary legal issues regarding international trade. As a business vehicle, the limited company is widely used. One of the reasons for its popularity is its ability to successfully raise business finance and diversify financial risk. All companies need to raise money to function successfully. And it is these issues of money which are the gravamen of international corporate finance law. An understanding of the ways in which companies can raise money, and the manner in which their money-raising activities are regulated, is central to an understanding of how companies function. Students taking this module have the opportunity to participate in wide-ranging but analytically precise discussions of international corporate finance law. The potential/actual insolvency of companies has a bearing on many areas of commercial law. The globalisation of commerce has added to the importance of understanding what makes a good insolvency regime, current approaches to insolvency law issues, and the extent to which it is possible to reconcile differences between national regimes. This module offers an opportunity to engage with a range of issues that are pertinent to this subject area. Your study hours depend entirely on the option modules you decide to study. Typically your study pattern will include two study days, Mondays and Wednesdays. The Core dissertation module runs across the year and is a supervised piece of independent study. qualified and former practitioners of law and internationally established experts in their field. This stand-alone qualification enables you to advance your career prospects through the acquisition of vocationally relevant knowledge and skills. All modules are assessed via coursework, with a final dissertation of 10-12,000 words. Sarah completed her LLB Hons at Warwick University before studying for an LLM at the College of William and Mary in the US. She then became the youngest person to qualify at the time as an Attorney in the State of Virginia and took up a post as a Criminal Defence Attorney. After several years of practice Sarah returned to the UK to cross qualify as a solicitor and work in Commercial Property Litigation. Before joining Liverpool John Moores, Sarah was a teaching fellow at the University of Exeter. Her main research interests lie in socio legal issues associated with access to Justice in the UK and USA. Sarah is currently pursuing a PhD which focuses on a comparative analysis of the problem of the jury as a democratic representation in ordinary criminal cases and the marginalisation of lay involvement in the criminal justice system. The School of Law is based in the Redmonds Building, in the heart of the bustling Mount Pleasant Campus and Liverpool’s growing Knowledge Quarter. Redmonds Building is shared by two Schools within the Faculty of Arts, Professional and Social Studies – Liverpool Screen School and the School of Law - and the Liverpool Business School. This mixture of disciplines makes for a rich blend of student learning experiences. The building contains high quality lecture theatres and seminar rooms, social spaces, and a café. It is only a short walk from LJMU’s Aldham Robarts Library, which contains all the resources you will require for your studies, and is open 24 hours a day, seven days a week.